﻿ Can Cristiano Ronaldo scoop yet another Ballon d'Or? 13.10.2018 » Can Cristiano Ronaldo scoop yet another Ballon d'Or? 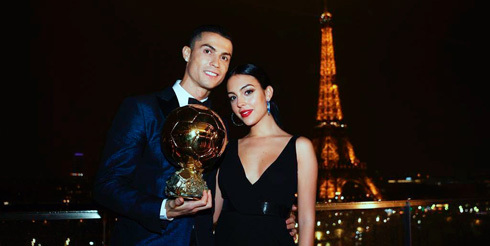 As some of you should know by now, the Ballon d'Or award is now longer associated with FIFA, as it returned to its origins with the renowned magazine France Football. that basically means we'll have, once again, 2 distinct awards to elect the best player in the world each season/year, one from FIFA ("The Best") and another from France Football ("Ballon d'Or"). Don't be surprised if you end up seeing Modric winning FIFA's The Best (which he did) and then Ronaldo winning the Ballon d'Or for example. With FIFA's The Best, the awards ceremony will take place around September (this year it took place on September 24), while France Football's Ballon d'Or leaves it to the end of the calendar year (this year their event will be hosted in Paris on December 3). One of the names in the Ballon d'Or list of potential winners is of course Cristiano Ronaldo. 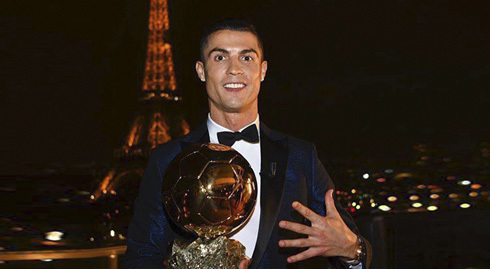 As he looks to win his 6th edition of the award, the Portuguese star has been both the winner and the runner-up on five separate occasions and a win in 2018 would see him pull clear of perennial arch rival Lionel Messi who has picked up the same haul of prizes. The question is though whether we have finally seen the end of the duopoly that these two players have had over the past decade. Since Cristiano Ronaldo won his first award in 2008, it has been the prized possession of both he and Messi. 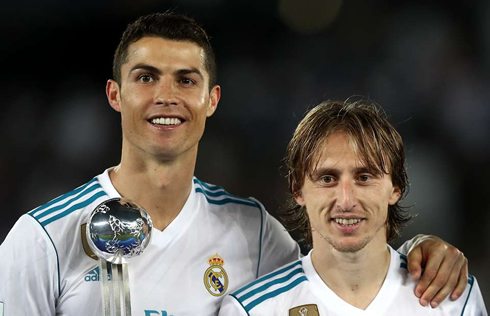 However, this year it could be a little different as a couple of other stars have a valid shout of being crowned the best player in the world. One of those is Luka Modric who recently scooped FIFA's Best Male player award. While the other is Kylian Mbappé, who helped France beat Croatia in the FIFA World Cup Final this summer, both these two have undoubtedly done great things over the past few months, but will it be enough to sway the opinion in charge of the Ballon d'Or? According to Genting Bet, it shouldn't for the wonder kids, as they see Ronaldo winning the Ballon d'Or again this year. At the same time, one should not necessarily overlook Cristiano Ronaldo, especially when you consider he played a huge part in helping Real Madrid to a third successive Champions League trophy in May. Whether Real Madrid can make it four in a row is a question that we cannot answer until later in the season, but now that they are embarking in a new era that sees them without their once star player it perhaps looks somewhat less likely. Now that the 33 year old has swapped the Spanish capital for that of Turin and Italian giants Juventus, it could well be that he helps his new employers to continued success at home while also landing the much coveted Champions League. And if his early season form is anything to go by then it looks, as if Juventus may already have the Serie A title wrapped up, going into the international break the club which have won the last seven Italian championships had a 100% record after earning a maximum 24 points. Something that Cristiano Ronaldo has played a part in with four goals in his first eight league appearances for Juventus. It might not be at the same rate of shot conversion that we were once treated to during his time in Madrid, but he is proving that he is not in Italy to wind down. The only thing that may go against the former Manchester United forward is the fact that he had a relatively poor World Cup this summer, as Portugal crashed out in the Round of 16. That said, if the focus is just on the club, then there can be a few arguments as to who the winner of the Ballon d'Or will be. Cristiano Ronaldo next game for Juventus is on October 20 of 2018 against Genoa. You can watch Juventus vs Genoa, Denmark vs Austria, Mexico vs Chile, Spain vs England, Ireland vs Denmark, and Netherlands vs Germany, all matches provided from our soccer live game pages.